We devote ourselves to selecting not only the finest leathers but also the smoothness of zippers, refined texture of inner materials, and perfect color coordination. We make this possible through low-volume manufacturing. Our aim is to continue our search for the highest quality materials and most innovative skills to produce the warmest leather products. Our excellent materials are provided to us through trusted business partners whom we have cultivated relationships with over the years. 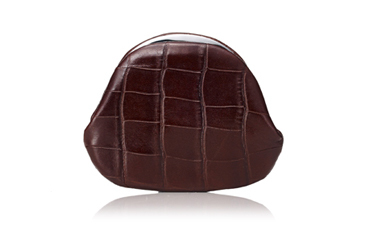 AZUMAYA’s unique crocodile leather focuses on both the foundation layer and use of a kip tanned with tannin and firmly pressed in order to create a more elegant texture. This Italian leather is manufactured through a traditional process. Only the finest cowhide shoulder is tanned using tannin made from all natural plants and hand-dyed one at a time to create rich leather that encourages extended use. This leather, tanned in 100% tannin, originates in Eastern Europe. This sensitive leather may stain from the lightest human touch and therefore, careful crafting requires time and patience. Over time, this leather tans naturally and gradually turns light brown. This leather is soft but durable and lightweight. 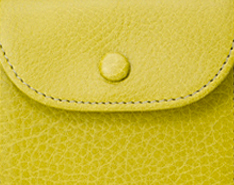 Split leather refers to the layer of leather remaining after the surface layer is teased off. 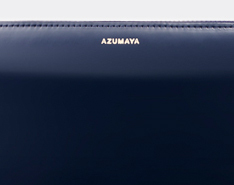 Rather than using cloth, AZUMAYA uses split leather to create a leather-only uniformity. Enamel is leather that is tanned and coated with a urethane resin. Enamel typically hides scars and stains on the original leather and masks the surface, but we carefully select quality leather. Enamel is delicate and requires frequent care and treatment. We recommend that you treat enamel with enamel cleaner. We provide cleaning fabric with each enamel product that we suggest you use to clean the surface of the enamel. and　the heavier high-quality double-sided zippers. 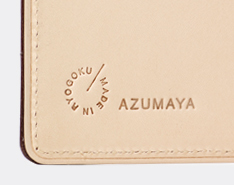 This coin purse is a favorite of our 5th President, who has contributed to Azumaya for more than half a century. The greatest appeal is the stylish appearance and the large and easily-accessible opening. The Large Size is big enough to hold folded bills. It would be truly “Iki (chic)” for an individual to subtly pull a Gamaguchi out of one’s kimono Obi (band). 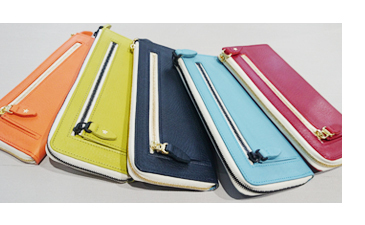 This L-Zipper wallet, slender and smooth but with plenty of storage space, is quickly becoming one of our standard items. 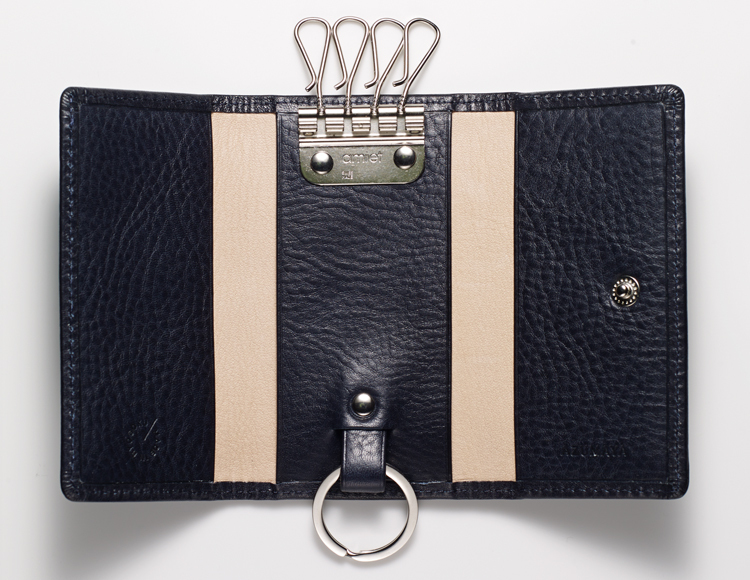 We have carefully selected the delicate YKK Excella zipper. The middle pocket is firmly fixed for stability. 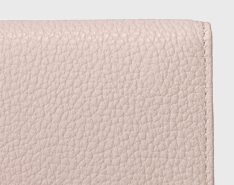 The card pockets along both sides are created using a lovely, unstained leather. The fringe of the bottom card pocket is reinforced using the “Return the Edge” method to provide a warm touch. On the outside, the corners that will discolor over use and time, have been reinforced with a transparent finishing instead of using the “Return the Edge” method. 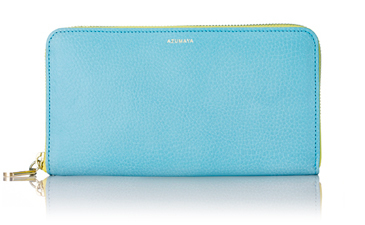 This round-zipper wallet has been a long-time favorite among Azumaya customers. 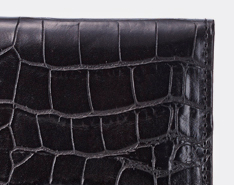 This wallet has been created for better storage while maintaining its lightweight design and adding a dignified look using as much cowhide as possible. 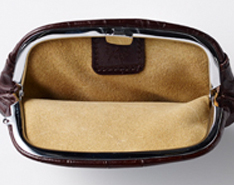 The coin compartment has been created with a seam. We have carefully selected the delicate YKK Excella zipper to allow for smoother and easier use. And the bi-color zipper has been chosen to add a customized touch. Copyright © AZUMAYA RYOGOKU All Right Reserved.